STUNNING WATERFRONT HOUSE! 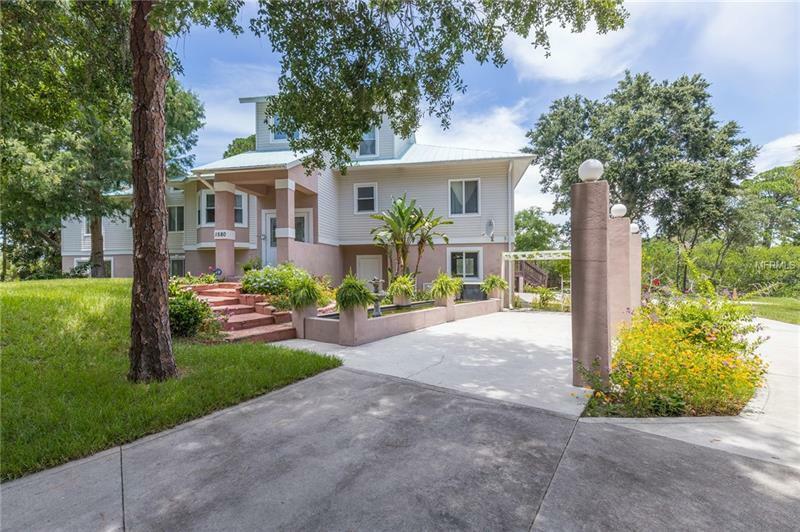 A custom-built move-in ready contemporary style home with a private dock & short canal access to the Gulf of Mexico. Live a few minutes to beach/parks, sports field, shopping, restaurants and schoolsâ¦. Spacious 4beds/4baths and a split floor plan offers privacy for all! Exquisite gourmet chef kitchen has granite countertops, maple wood cabinets, stainless steel appliances & center island. Master bedroom features a sitting area and a huge walk-in closet. Master bath has a double sink vanity, jetted tub, bidet and separate shower with dual heads! Living room with a loft and vaulted ceiling overlooks the pool and waterfront. All 4baths have matching granite countertops and maple wood vanities. Bonus room with over 2400sf on the ground level is a great space for entertaining or your own private gym. The house features energy saving double pane hurricane impact glass windows & doors, 2âx6â exterior wall framing with plywood sheathing, 1â gypsum concrete under finish flooring for sound reducing and leveling, metal roof, living space & two ACs 11ft above flood plane. All these significant reduce your insurance costs. Landscape welcomes with a lovely lily pond and flowerbed in the front and split level pool deck in the back. 2car garage, a boat or RV parking and additional packing spaces, ready for a REAL BIG Party! The cul-de-sac home on Â½ acre conservation lot is located in a high quality and quiet community but NO HOA. What a paradise found! SELLER WILL FINANCE.